This virtual discussion will take place in advance of the 2018 ALA Annual Meeting: Wednesday, June 6 at 2 PM EST/11 AM PST. If you would like to share your knowledge and work in the area of critical reading submit a proposal to be a panelist for the IS Current Issues Virtual Discussion Forum today. Applicants will be notified by May 4, 2018. Contact the ACRL IS Discussion Group Steering Committee Chair, Patrick Wohlmut (pwohlmut@linfield.edu) or Vice-Chair, Lauren Hays (ldhays@mnu.edu). We are seeking panelist for the LITA program “Introducing DevOps principles, concepts and tools to libraries “at 2018 ALA Annual https://www.eventscribe.com/2018/ALA-Annual/fsPopup.asp?Mode=presInfo&PresentationID=352606 . Please consider participating if you are in the process of planning or implementing DevOps approaches in the library workplaces (which could be in technology areas or others, for example, the areas of strategic management and organizational growth). Deadline is April 27, 2018. The internationalization of education and the increasing trend in higher education to take global rather than nation-bounded perspectives on learning across disciplines demands new ways of thinking about higher education in global contexts. The intention behind organizing this symposium is to gather a small group of teacher-scholars at the cutting edge of scholarship on teaching and learning to explore theories behind, approaches to, and practices of globalizing learning. Speakers will be invited to contribute to the Spring 2019 themed issue of the peer-reviewed academic journal Currents in Teaching and Learning. To kick off the symposium, Laura Rumbley, Associate Director of the Boston College Center for International Higher Education and a distinguished leader in the field of international education, will deliver the keynote address. If you are interested in participating in the symposium as a presenter, please send your abstract to Martin Fromm at mfromm@worcester.edu. Deadline for abstracts is June 1. Submissions received after these dates will be considered on a rolling basis and for the following issue. For essays and teaching and program reports, send all inquiries to Editor Martin Fromm at currents@worcester.edu. For book reviews, send all inquiries to Book Review Editor Kisha Tracy at ktracy3@fitchburgstate.edu. For submission guidelines, visit our website at www.worcester.edu/currents. <http://www.wfu.edu/> and The University of North Carolina at Greensboro. partnerships that get us out of our silos. presentations for publication in the open-access proceedings. Proposals will be accepted until April 20, 2018. Presenters will be notified by May 11, 2018. LILi invites you to submit proposals with practical application and built-in audience interaction by April 20, 2018 for a 15-minute presentation. Notification of acceptance by May 18, 2018. The Education and Behavioral Sciences Section Research Committee announces the 12th Annual Research Forum during the ALA Annual Conference in New Orleans. The Research Forum and reception follows the announcement of the winners of the APA Librarian Conference Travel Awards, and will take place on the afternoon of Saturday, June 23, 2018. The Research Forum offers librarians an opportunity to present research that is currently underway in a 10-minute lightning talk format. Lightning talks will be selected via a competitive, blind review process. Proposals are due April 9, 2018. Applicants will be notified regarding acceptance no later than April 20. 4. Clearly identify what stage of the project has been completed and estimate a timeline for the remainder of the project. Research that has been previously published or accepted for publication by January 1, 2018 will not be considered. Email submissions to Callie Wiygul Branstiter at callie.branstiter@ku.edu by Monday, April 9, 2018. Special Issue Call for Papers from Global Knowledge, Memory and Communication. In 2017, The Association of College & Research Libraries published a white paper sharing international perspectives on information literacy entitled, Fostering a Dialogue for International Understanding. This themed issue wants expand on the unique challenges and opportunities for “Global Information Literacy” and will explore the extent to which there is global acceptance and a shared understanding of the term information literacy. Proposals are requested that explore the role of information literacy frameworks within a specific country and an assessment of how these frameworks foster a dialogue for international understanding. • Reflections on how information literacy standards reflect the educational priorities of a country or region. 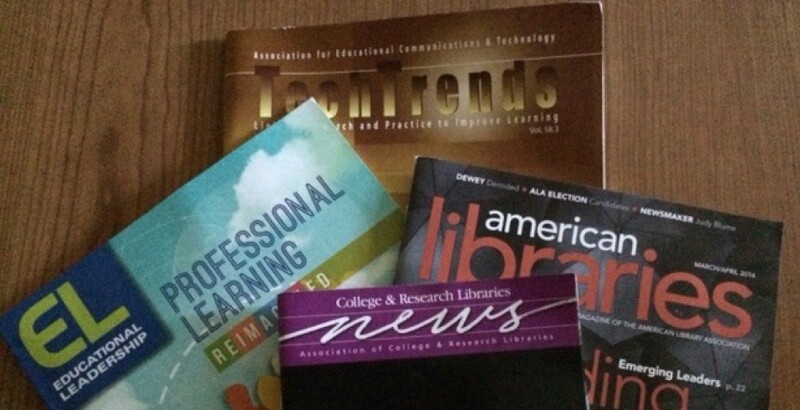 • The role of critical librarianship in shaping information literacy pedagogy. Accepted proposals will be notified by May 30, 2018. The review process will run from August 30th, to October 15th, with review results given to authors by October 30th. Final acceptance notifications will be sent by December 15th, 2018. Introduction The subject of the use of social media has been renewed by the impact that social media had on the last U.S. presidential election, and the impact that social media networks will have on subsequent elections. This has called attention to the relevance and urgency of incorporating social media use into the academic library, both as a marketing tool and as an instruction tool – and even as an instruction topic. As guides in the information world, it is important that librarians be well-versed in social media. This publication seeks to be an up-to-date, “post-truth” look at the importance of social media in all facets of library marketing and instruction at the academic (post-secondary) level. Objective The objective of this book is to provide a concise reference for librarians in the field to consult for advice and guidance in using social media in academic libraries and in instruction, with special emphasis on assessment and evidence-based practiced. This volume will give librarians the foundation necessary to argue for or against social media use in their library, as is appropriate for their situation. Target Audience The target audience of this book will be composed of professionals and researchers working in the field of information and knowledge management in various disciplines, e.g. library, information and communication sciences, administrative sciences and management, education, adult education, and information technology. Moreover, the book will provide insights and support professionals in the field who wish to incorporate or improve upon social media use at their respective institutions. Researchers and practitioners are invited to submit on or before April 30, 2018, a chapter proposal of 500 to 1,000 words clearly explaining the mission and concerns of his or her proposed chapter. Authors will be notified by May 30, 2018 about the status of their proposals and sent chapter guidelines. Full chapters are expected to be submitted by August 30, 2018, and all interested authors must consult the guidelines for manuscript submissions at http://www.igi-global.com/publish/contributor-resources/before-you-write/ prior to submission. All submitted chapters will be reviewed on a double-blind review basis. Contributors may also be requested to serve as reviewers for this project. For questions, please contact Jennifer Joe (jennifer.joe@wku.edu) or Elisabeth Knight (elisabeth.knight@wku.edu).